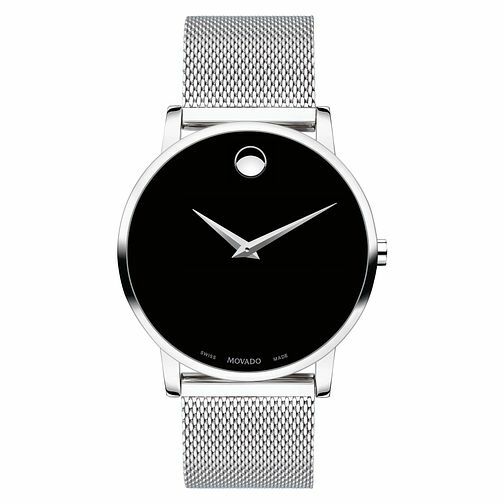 This charming Men's Museum watch exudes Movado's signature minimalist style. Crafted in a sumptuous silver tone, wonderfully offset by the black dial and the iconic dot motif at the 12-o-clock position. Complete with a stainless steel mesh bracelet, the minimalistic model for the modern man. This contemporary timepiece is the perfect accessory to take you from day to night. Exquisite, contemporary timepieces from Swiss watchmakers Movado.